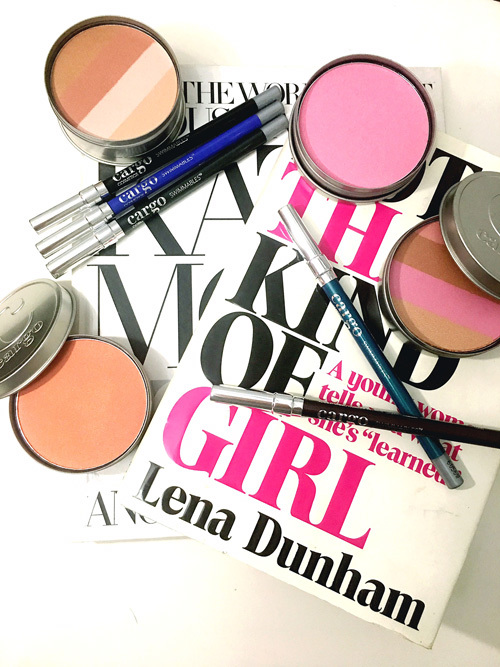 Waterproof mascara is old news but blush that stands up to rain and snow? I’m officially a fan! Cargo Swimmables collection includes an array of products with high pigmentation for those that are active or just looking for longevity in their makeup. 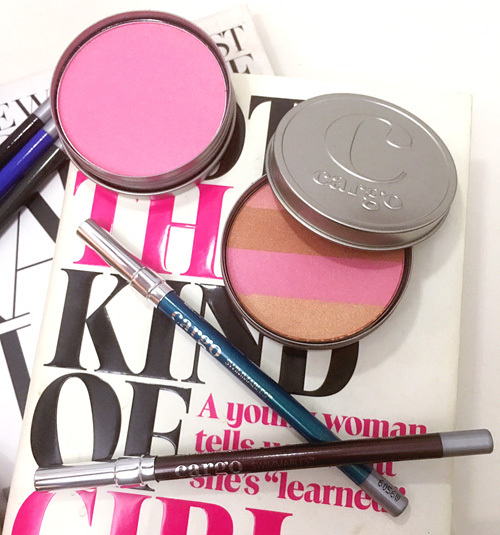 The Cargo Swimmables Water Resistant Blush and Cargo Swimmables Water Resistant Bronzer are some of my favorites from the collection. They offer you color that won’t streak or fade and provides you with long lasting sweat-proof and weatherproof color on your cheeks. The powder is silky and has a formula that glides onto the skin for a subtle wash of color that you can easily build up. The Cargo Swimmables Water Resistant Bronzer is also a silky powder formula that glides over the skin for a subtle radiant glow. 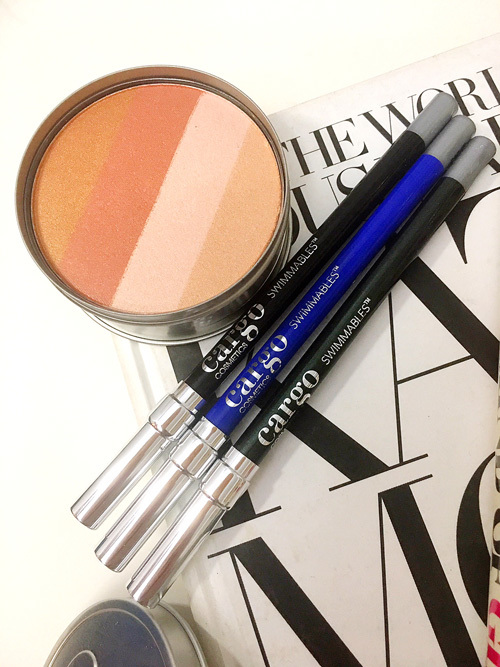 Cargo Swimmables Eye Pencils are available in twelve shades and are creamy (easily glide on) yet waterproof and smudge proof, lasting up to 14 hours! Now, you can enjoy the winter weather without fear of raccoon eyes or unblended bronzer. It’s a holiday miracle!